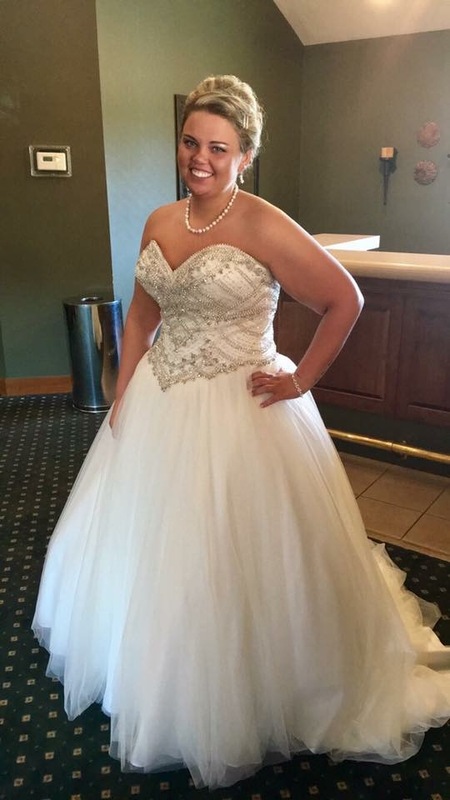 Size 14 Ballgown style wedding dress with a corset backing. Intricate beading detail on corset. Comes with size 9 Kate Spade glitter shoes. Dress bought from Bombshell a bridal in St.Claire shores Michigan. Designer is unknown because there is no tag.